Dive into an elegant, wild and vibrant Renaissance Hotel located in one of the most lively and cosmopolitan areas of Paris. Are you ready to become an authentic Parisian? Let’s start your adventure at our Martin Bar to get inspired from local lovers and artists of the neighborhood. Discover Canal Saint-Martin with its designer boutiques and urban artworks – it’s perfect for a stroll. Along the Canal banks play a game of stone skipping and bounce up to the Marais. The Paris historic district is here! It offers plenty of treasures. And the city is never ending, so get in to the vibe of Parisian nightlife at Place de la République with its cafes, speakeasy bars, famous clubs and concerts. All this with your bed located just a stone’s throw away. 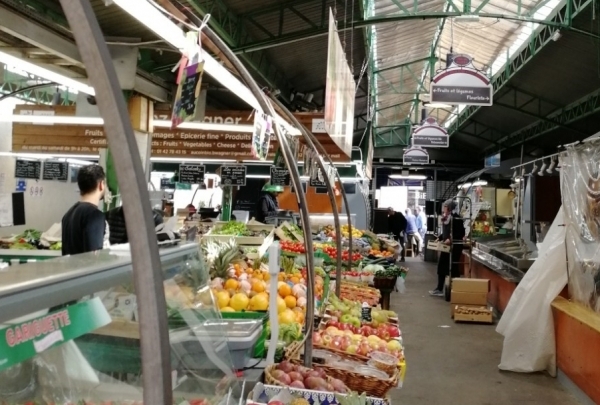 Opened in the 17th Century, the market is located in the Marais. This is one of the city's oldest markets. The market is named after the former orphanage of the Marais where the orphans used to play wearing their red uniforms. Located on the "rue de Bretagne", next to the hotel, it's one of the best spots to share a delectable and quintessential Parisian meal with friends and family. 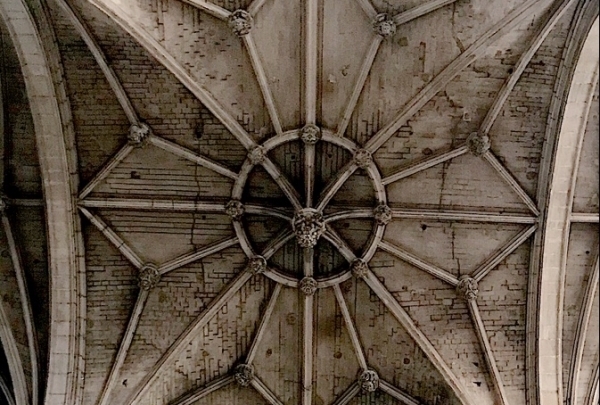 Discover one of the most beautiful Gothic churches of Paris in Les Halles district ! Saint Eustache church situated in the heart of Paris is a must visit while in the city. The architecture of this church is a mixture of Gothic and Renaissance. Every Sunday at 5 PM, you can enjoy a free session of the organ, which is one of the largest pipe organs in the country. Inside the church, you will also discover numerous beautiful paintings and sculptures. Delicious and healthy meal is the promise of Juan Arbelaez, the chef behind this new restaurant. Vida is the place to be if you wish to enjoy a healthy, seasonal and creative meal in a warm and cozy setting. 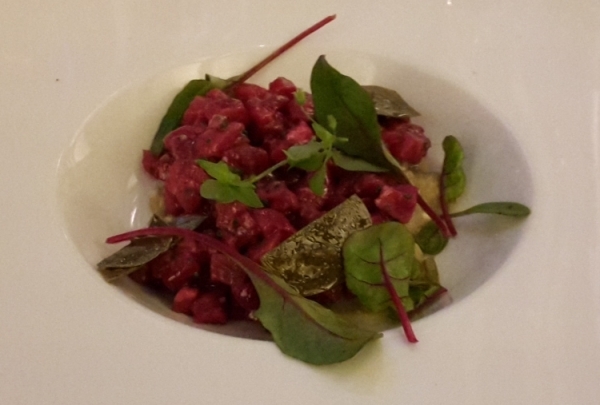 The menu changes every 2 weeks approximately depending on the season and the preferences of the chefs. The chefs Whitney Foe Zambo and the Quentyn the maître d manage this restaurant brilliantly! 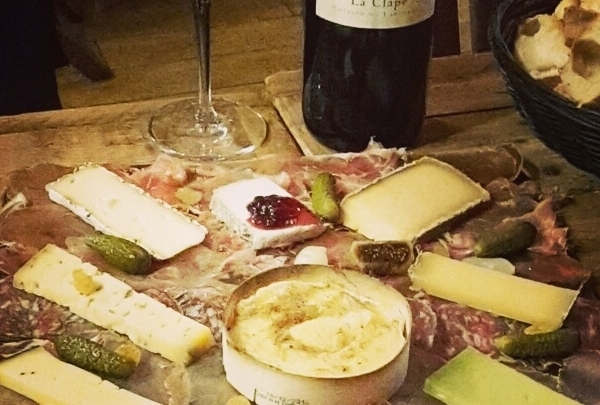 Sample an amazing selections of cheeses and wine at this chic wine bar. Welcome to this amazing wine bar located in the heart of Paris. You'll find elegant vineyard decor paired with delicious offerings. Be sure to say hello to the owner, who knows quite a lot about the wine he adds to his menu. A Mexican cocktail bar hidden behind a real taqueria! 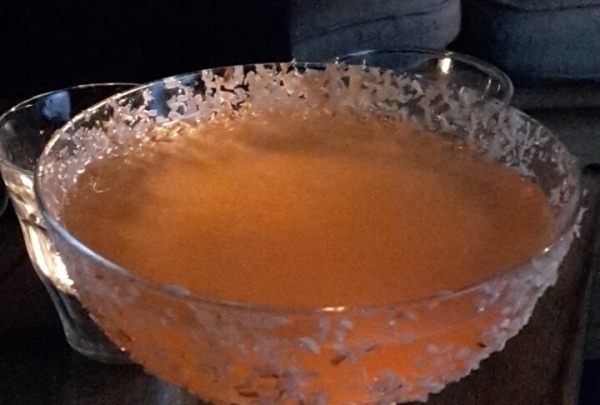 Visit this cocktail bar hidden within a delicious taqueria. This spot has a lively atmosphere and unique cocktails. This is a must while in the Marais. Enjoy oysters, seafood and cocktails in a chic, trendy and exquisite atmosphere. Welcome to the new oyster bar and restaurant in the heart of Marais in the city. ISTR serves up fresh and delicate cuisine and incredible cocktails in a trendy atmosphere. This spot is a must try! 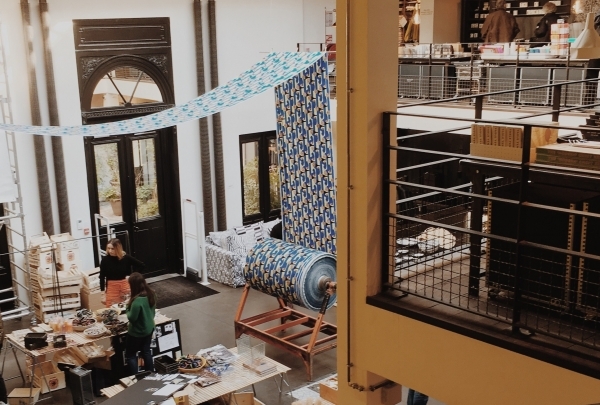 In the 11th district, hosted in a former foundry, this museum is the first digital museum in Paris. 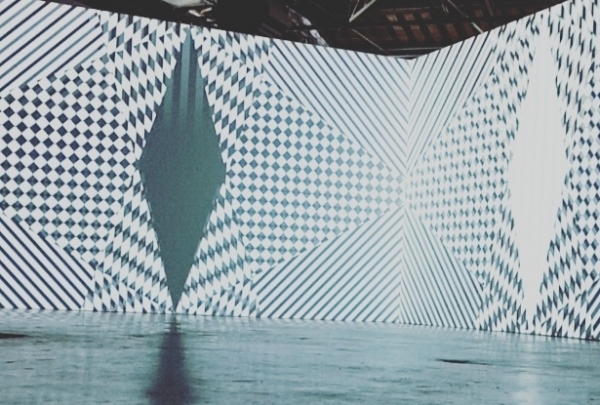 Their 150-video projector will allow you to literally walk through paintings and artworks from different artists. Complemented with music, this exhibitions is sure to leave an ever-lasting impression on art lovers. 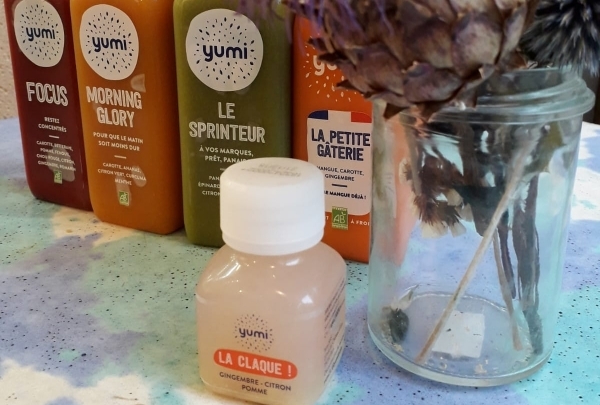 YUMI offers organic vegetable and fruit juices! They're homemade and healthy! 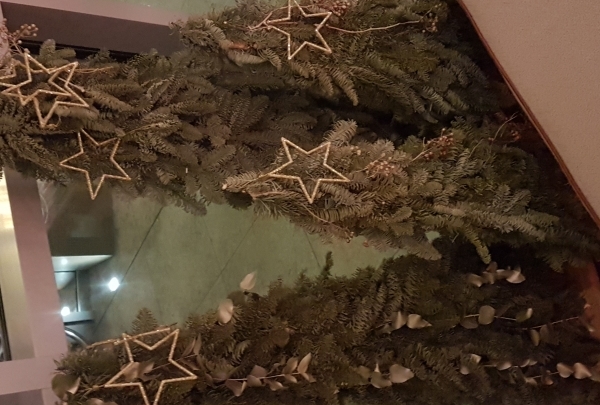 Located on the trendy rue du "Chateau d'Eau", welcome to this bar and boutique dedicated to fresh juices that are created using only organic vegetable and juices. Healthy, refreshing and original. Owned by a young team! Take a break from the hustle and bustle of Paris to enjoy a glass of wine and their famed foie gras at this chic bistro. Les Vinaigriers is a bistro in the 10th Arrondissement. There you can order from a full menu of delicious food, which focuses on fresh and seasonal ingredients. This food can be enjoyed in their warm, wooden interior, with wooden chairs and small tables. This concept-store offers both vintage and trendy brands in one unique place. 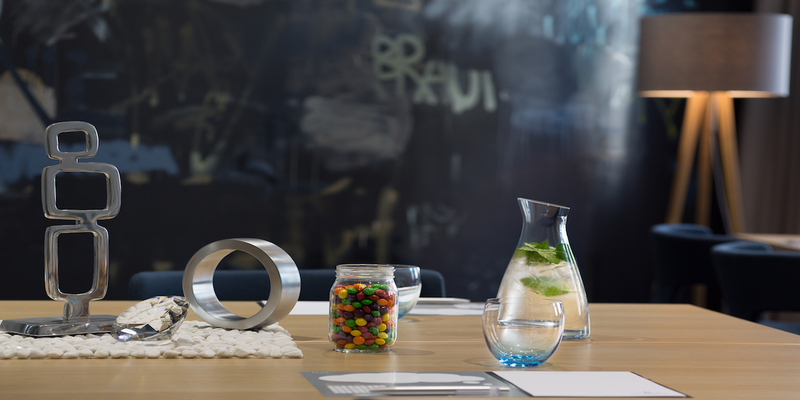 This concept-store located in the very heart of the Marais embodies everything we like here at Renaissance. The store sells ecological friendly brands in a vintage boutique atmosphere. The entrance is hidden behind a Hausmanian building and a red car, so visitors will feel like they've discovered a secret venue when they walk through the door. 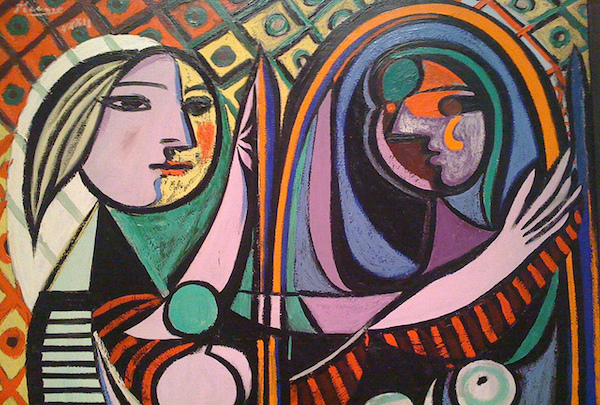 Located in a private mansion, the museum offers the largest collection of Picasso’s art in the world. Located in one of the most beautiful private mansions of Paris, the Picasso Museum offers the largest collection of Picasso’s art, from his most famous paintings to his sculptures. Wandering this gallery gives incredible insight into this master's life and talent. phone:+33 1 85 56 00 36. The best rooftop in the area is open for the summer! Amazing views with a trendy atmosphere! 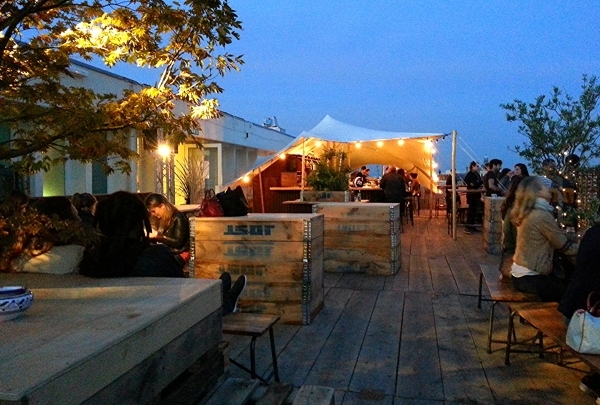 Located at the top of the BHV shopping centre, Le Perchoir is a great rooftop with unique views all over Paris. Trendy, chic and good vibes! Honor the French pastry classic while enjoying inventive éclair renditions, from chocolate to chorizo, or your own customized version. 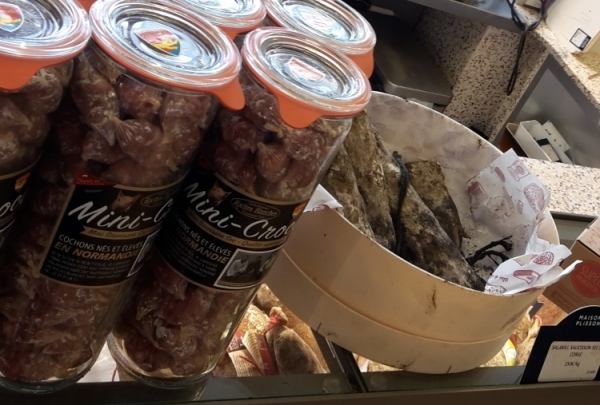 Food connoisseurs in Paris are sure to enjoy a visit to L'Atelier de l'Éclair in 2nd Arrondissement. Opened in 2011, the patisserie is solely dedicated to the classical confection who's French origin can be traced back to the 19th Century. 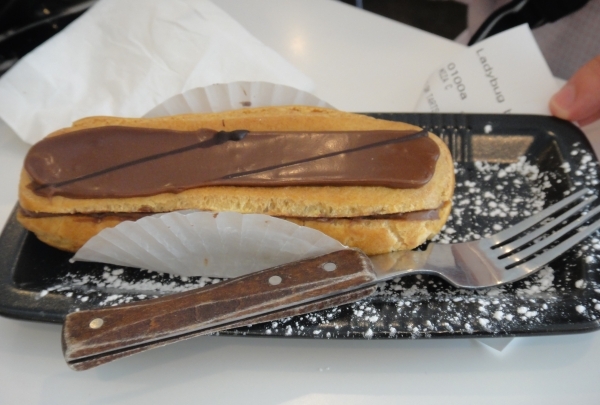 The elongated pastry, the éclair, is featured in an array of original sweet and savory renditions. From the classic vanilla, coffee and salted butter caramel kind to inventive varieties like chicken curry, dill salmon, and foie gras, the place boasts various sizes to sample as well as take away. Drink unhurriedly at Inaro and savor their well-thought-out meat and cheese platters. Forge friendships at this warm and inviting bar. Inaro has a rustic look to it with its wooden accents, yet captures an essence of modernity in its style. This delightful wine bar is where owners Johan and Pierre Alexandre want you to enjoy the company of old and new friends accompanied with great wine and charcuterie. Since there isn't any set menu for the food and the vino, this cozy bar offers a surprise element in terms of acquainting their patrons with new flavors. It is indeed a wonderful place to unwind among people you care for with a glass of great wine. Feast your eyes on the Pyramide du Louvre, an architectural achievement that will blow your mind away with its design and history. 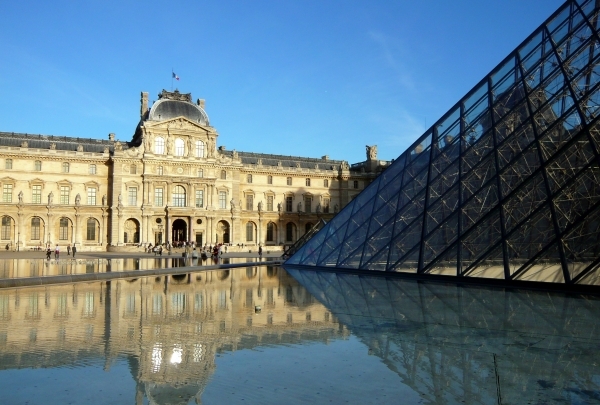 The Pyramide du Louvre is an astounding piece of architecture that is made of glass and metal. This 21.6 meter-tall (71 feet) building serves as the main entrance to the Louvre Museum and is located in the yard of the Louvre Palace. Commissioned by the President of France in 1984, the Pyramide du Louvre was designed by the architect I.M. Pei and was since revered as a major landmark of Paris. While it is free to admire the entrance from the outside, an inside look requires a ticket to view and explore the rest of the Louvre Museum - which no trip to Paris is complete without. An incredible building in the heart of Paris, built in 1900. Built for the Universal Exhibition in 1900, the monument hosts unique and fascinating exhibitions throughout the year. 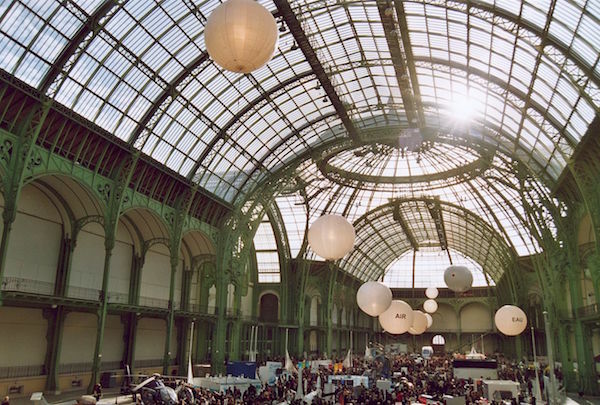 One of the main events now hosted at the Grand Palais is Chanel's yearly fashion show. 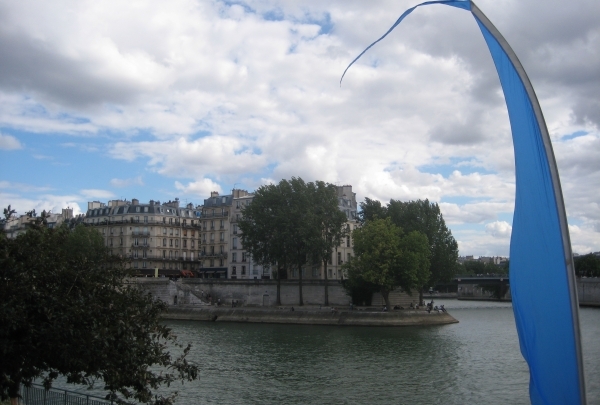 In the Paris, this historic island is a must see. Visit the many restaurants and shops or take a walk along the riverbank. Île Saint-Louis is a pocket of greenery and natural splendor by the Seine River in the heart of Paris. The island is named after King Louis IX of the Bourbon dynasty, who ruled France prior to the French Revolution. It is regarded as the birthplace of Parisian civilization, and was also a religious center during the Medieval period. 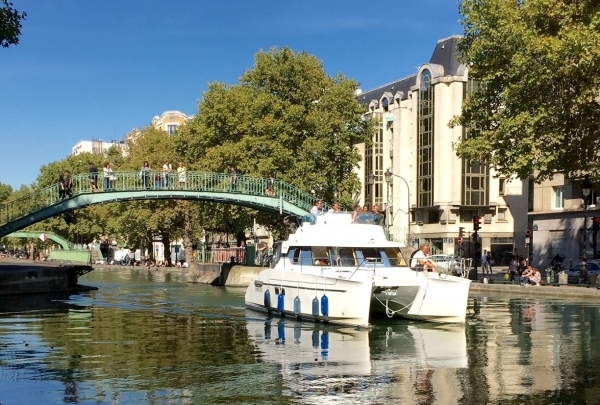 Île Saint-Louis is connected to the main city through bridges and waterways and is one of the most serene locations, presenting a wonderful paradox to the hustle and bustle of Paris. One of the most notable structures on this island is the Saint-Louis-en-l'Île Church (St. Louis on the Island) that is rare piece of architecture. The island is decked with numerous restaurants, cafes and shops that make it one of the most popular tourist destinations of Paris. 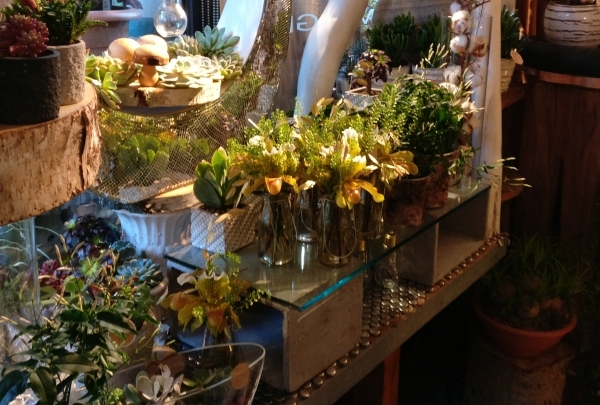 An exotic and creative florist in the heart of the Marais! Definitely one of the trendiest florist in Paris. His arrangements are unique, modern and very creative. Just awarded among the top 5 of the best florist corner of Paris. Exotic flowers, colored bouquets! Passage des Princes is Paris's best place for kids. With specific sections for each age, this one-of-a-kind corridor caters to everyone. Passage des Princes is a covered passageway linking Rue Richelieu to Boulevard des Italiens in the 2nd arrondissement of Paris. It is 80 meters (263 feet) long and was inaugurated in 1860 under the name of Passage Mirès. It was the last covered alley built in Paris; Baron Haussmann made this decision, as he was responsible for the transformations and renovations of Paris during the Second Empire. Following a real estate scheme, the passageway was destroyed in 1985 and rebuilt identically, several original elements of decoration were reused. 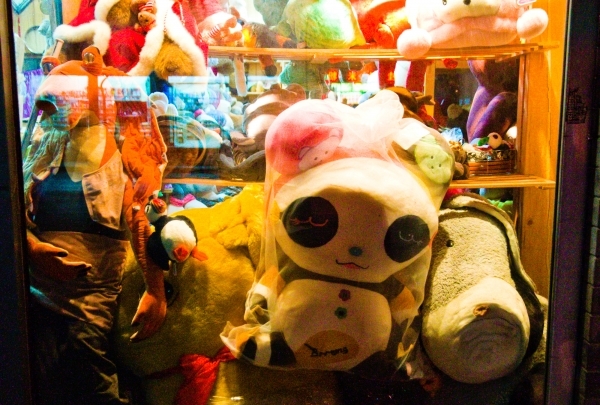 Since 2002, it has had one main theme: there are mainly toy shops in the Passage des Princes. 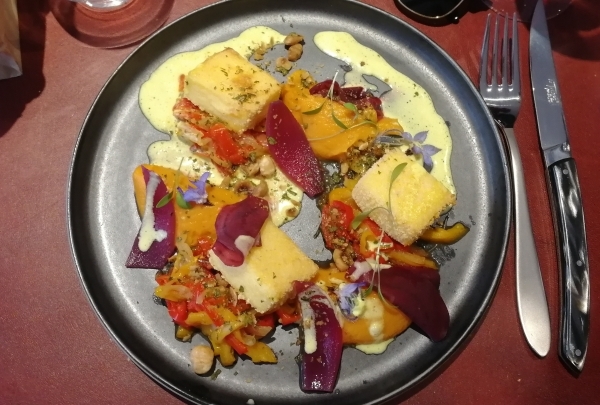 This modern French bistro recently opened in the Marais and offers a seasonal menu in an unique atmosphere. Designed by Lázaro Rosa Violán, a famous Spanish designer, you will be captivated by this restaurant's unique interior design and soaring glass ceiling. The menu includes a variety of dishes made with fresh, seasonal ingredients. Les Chouettes also offers an extensive wine menu and a full bar serving creative cocktails. 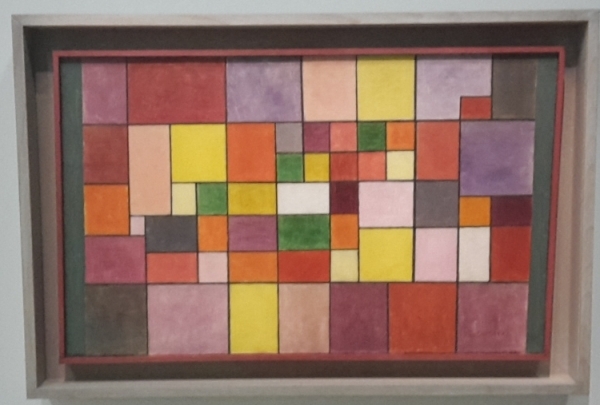 The museum offers an incomparable collection of modern and contemporary art. Centre Georges Pompidou is a unique building located in the Marais area. It was designed by Richard Rogers and Renzo Piano and is both high-tech and intricate. The museum houses one of the largest collections for modern art in Europe. The museum also hosts traveling exhibits throughout the year. Explore this romantic promenade lined with bars and restaurants on foot or by boat. Constructed by order of Napoleon 1st, the Canal St Martin was constructed to resolve water supply troubles and encourage the merchandise industry in 1825. Today, Parisians and visitors alike can take in the beautiful scenery while walking along the promenade or enjoying a meal at one of the restaurants lining the water. This bar draws inspiration from international and exotic locales to create delicious cocktails and fun atmosphere. 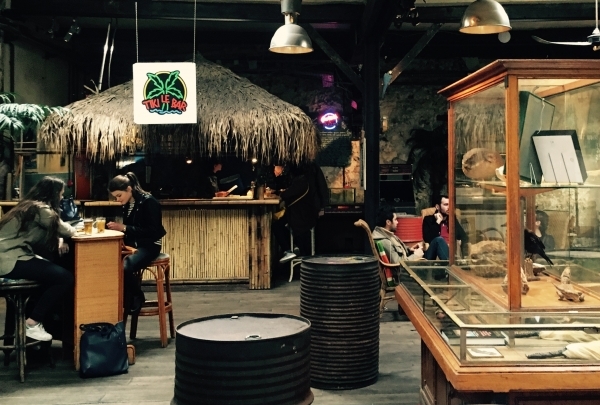 Both locals and visitors alike will stand in a queue to access the tasty cocktails served up at the exotic Le Comptoir Général. A team of bartenders, DJs, decorators and dancers work to make this bar the exciting spot that it is. Revelers come for the cocktails and stay for the atmosphere. Hidden above a laundry shop, the Lavmatic is a speakeasy modeled after bars created during prohibition. Bright and small but well appointed, two pretty swings await guests in the main area of this unique speakeasy. The cocktails are the real stars of this establishment. While this spot can be tricky to find, Navigators can help you to find the hidden door that leads to this fantastic bar. An exquisite grocery store offering the best products from France and Europe. The new hotspot for everything gourmet! Created and designed by Delphine Plisson, a former art designer, this grocery store is one of the best in Paris. They sell handpicked, eco friendly products. Here you will find meats, cheeses, wines, spices, and much more. 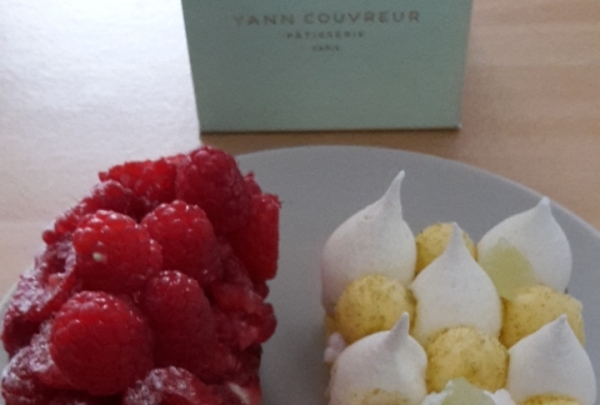 Yann Couvreur, one of France's finest pastry chefs, has opened his first patisserie. 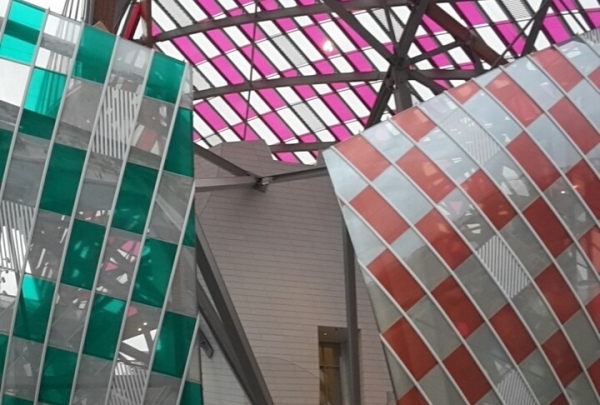 A must-visit while in Paris! Opened in May 2016, this patisserie is already a hotspot of the 11th district. Creations of young chef Yann Couvreur are incredible. Tasty, modern and original, he embodies the new pastry style coming from France. Dedicated to modern and contemporary art, Palais de Tokyo is a destination in Paris with multiple great exhibitions. The Palais de Tokyo is a great museum for modern art located the heart of Paris. Several exhibitions are shown all year long, featuring the most influential artists. Stop by this urban, trendy, and wild must-see! A seafood bistrot cooking only fresh and high quality products in a local atmosphere. This bistro offers fresh and exquisite cuisine featuring seafood. Good wines are served as well, making this place famous to the locals of the 10th district. A pretty patisserie in the heart of the Marais, specializing in the French shortbread biscuit. Unique and delicious! 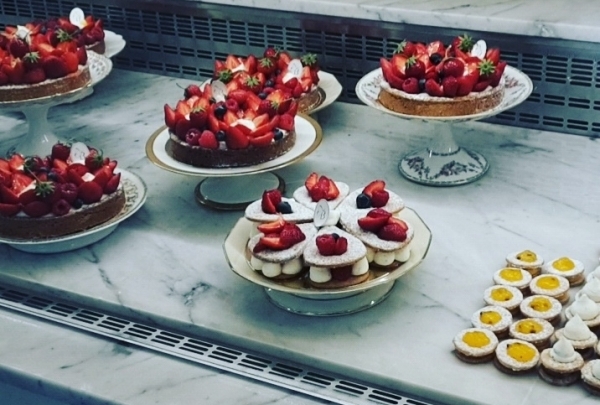 Owned by two sisters, welcome to the amazing Bontemps patisserie! Cooking fresh pies and shortbread biscuits, this place has become one of the best gourmet places in the area. Everything is homemade, making it a must try! A unique store combining fashion and music influenced by Paris and Tokyo. Opened in 2002 by Masaya Kuroki and Gildas Loaëc after a trip to Japan, this store created a one-of-a kind brand that unites music and fashion. 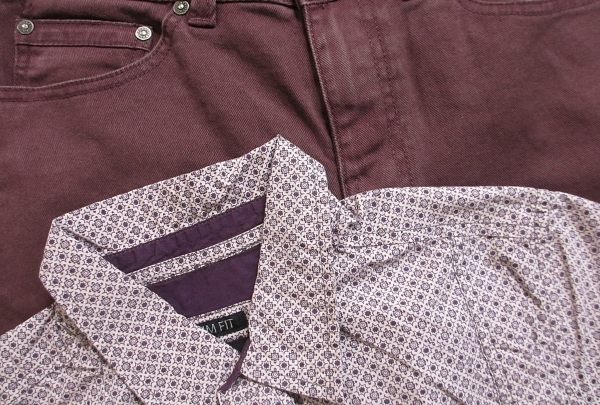 All the classic looks have been reinvented here, giving the clothing a sense of timelessness. 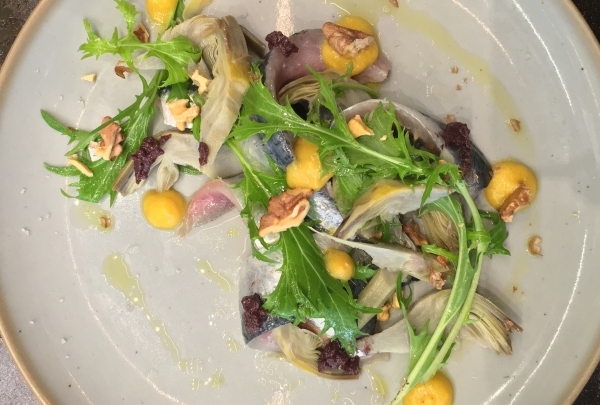 A modern french bistro offering a creative and delicate cuisine. Located just a few steps from the hotel, Chameleon is a must-visit spot for people who enjoy refined cuisine. 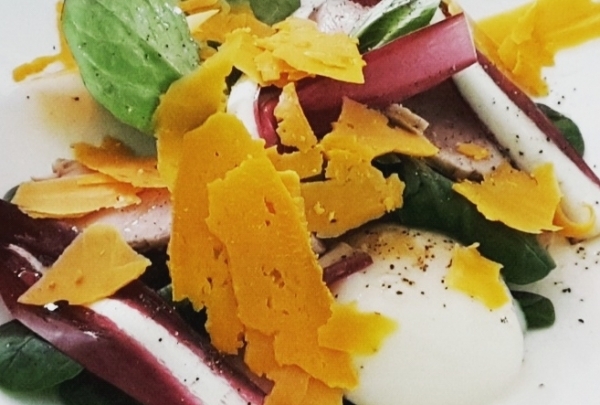 The restaurant offers a seasonal, fresh and homemade menu crafted with local ingredients. 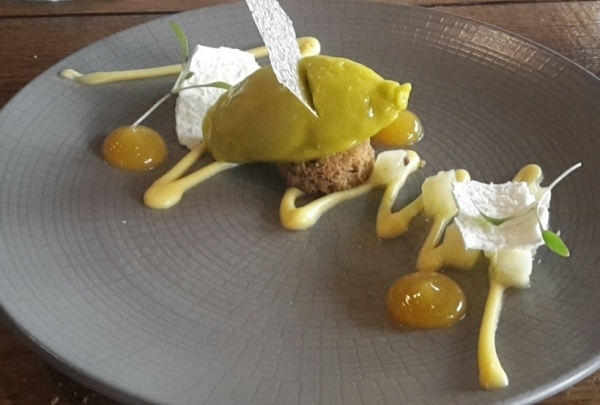 Chameleon offers a tasting menu that is not to be missed. A trendy pop-art bar with excellent cocktails and live DJs spinning great music. 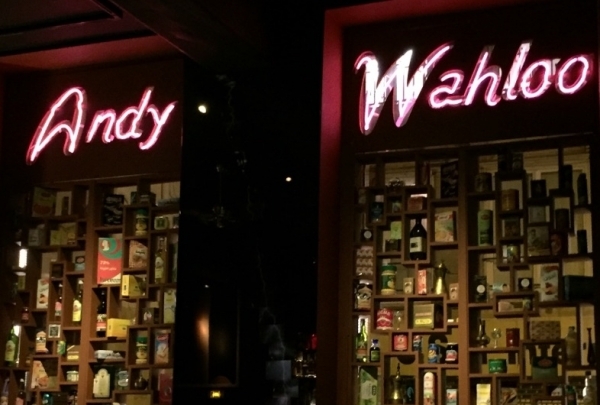 Be sure to visit this trendy bar, which boasts mediterranean and pop art influences, during your stay in Paris. 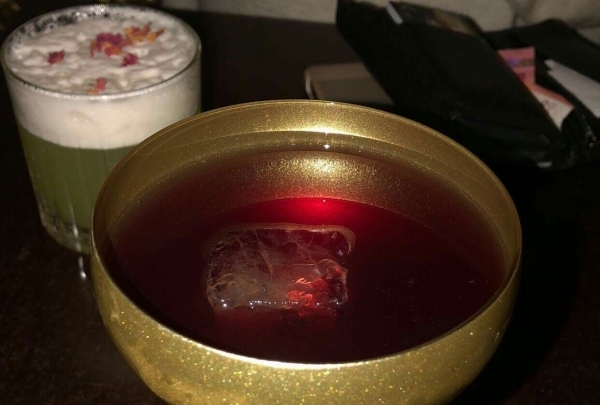 The bar's cocktails are great, the decor is unique and the atmosphere really enjoyable! Designed by the genius Frank Ghery, the foundation is a piece of art, colorful and modern. 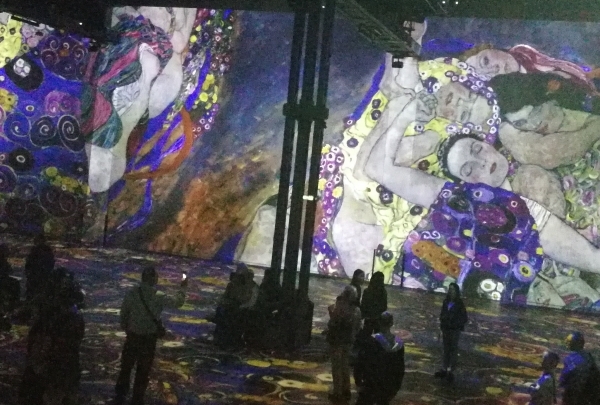 Great exhibitions take place all year long featuring many unique master pieces. A great argentinian steakhouse with a fine selection of meats and a delicate cuisine! Located near the "Cirque d'Hiver", this new Argentinian restaurant is a must. They offer a great selection of meats, good wines and a trendy atmosphere. 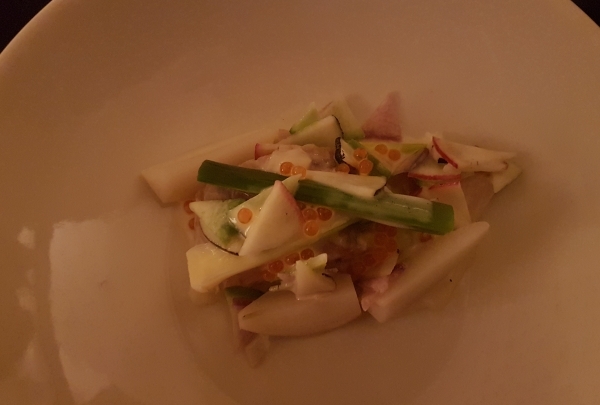 The chef, trained by Jean François Piège, offers a delicate cuisine that features seasonal products. It is already a hotspot in Paris! The trendiest concept-store in Paris! Exclusive creations, trendy furniture and unique designs can all be found here. In the heart of the Marais, Fleux has been a temple of design since 2005. 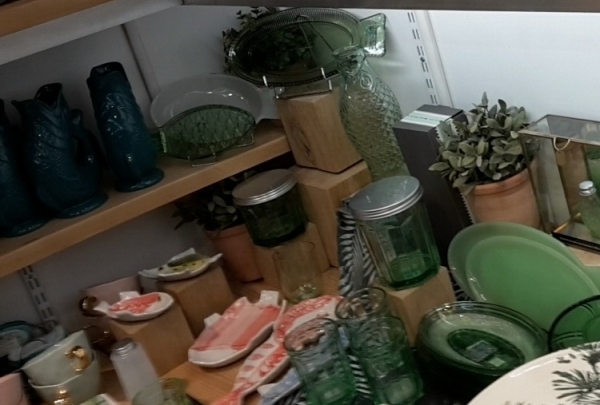 Local designers, high end furniture, exclusive creations, and trendy items can all be found at this unique store. 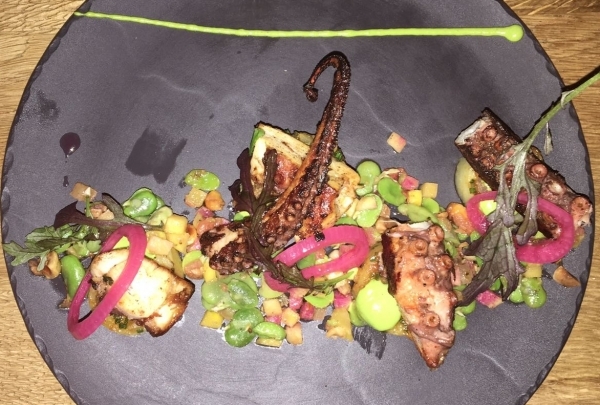 This Asian-French fusion restaurant offers an incredible and delicious tasting menu! 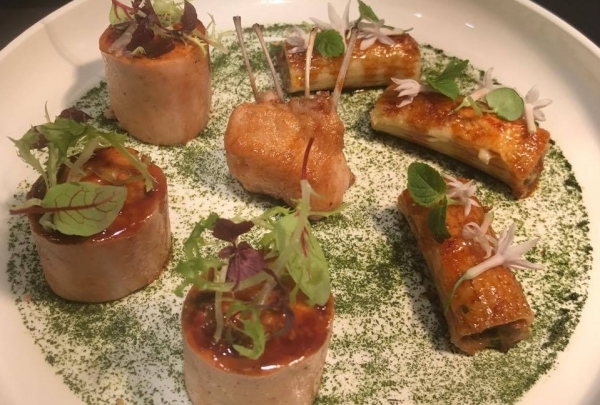 Enjoy the talents of a young chef offering glamorous Asian-French fusion cuisine at Pierre Sang on Gambey. The menu changes seasonally, ensuring top-quality ingredients, and the ambience is quite trendy. Enjoy unique signature cocktails in a cozy atmosphere reminiscent of the 50s. 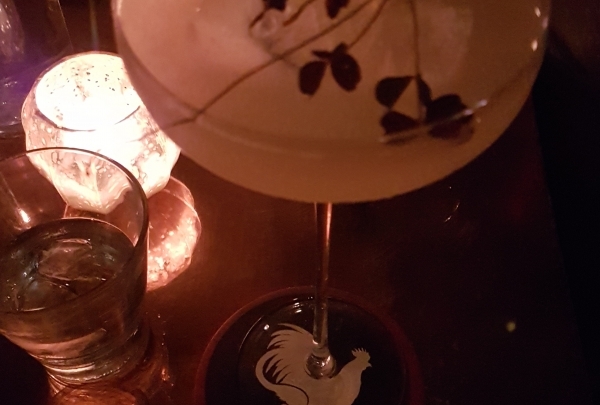 This is one of the best cocktail bars in Paris! It offers amazing cocktails in a warm and cozy atmosphere. Great service is also guaranteed at the Little Red Door. 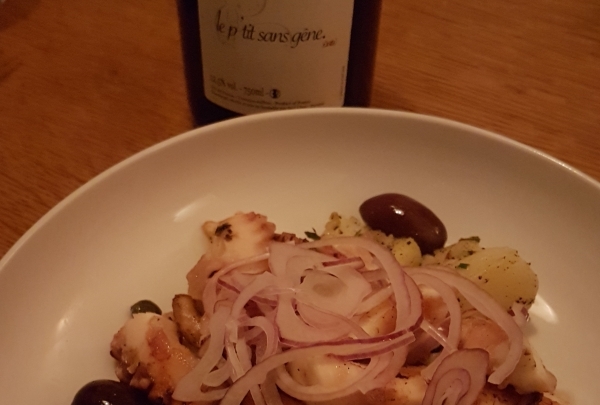 Glou is an excellent wine-bistro, offering a seasonal menu and local bottles! Boasting a view of the Picasso Museum, this bistro is owned by a young team and makes for a trendy place to eat and drink. 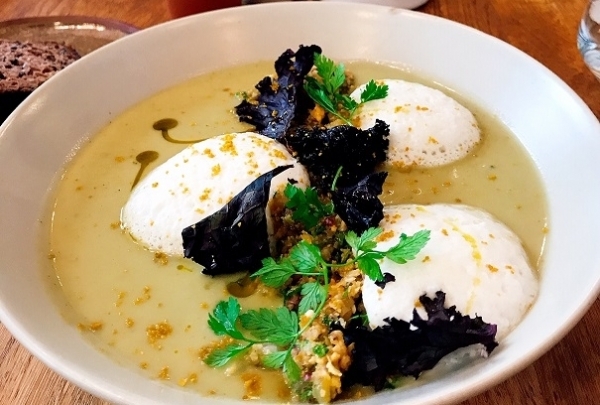 Fresh, seasonal products and excellent wine recommendations complement a cool atmosphere at Glou. 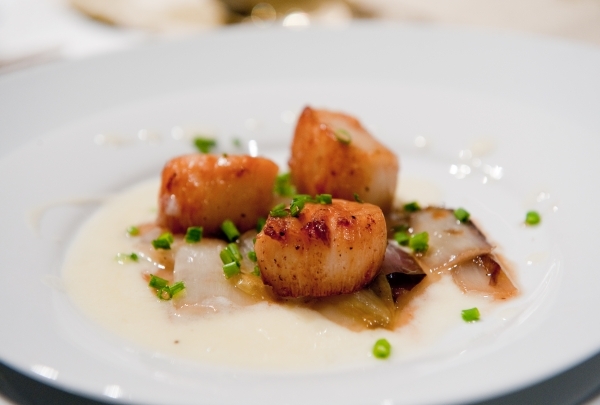 Experience authentic, tasty, and generous bistro cuisine in a contemporary atmosphere! Come enjoy a delicate and generous restaurant that deserves its Michelin star. You can't help but fall in love with Origin! Great atmosphere and delicious cuisine at one of the last traditional French bistrots. 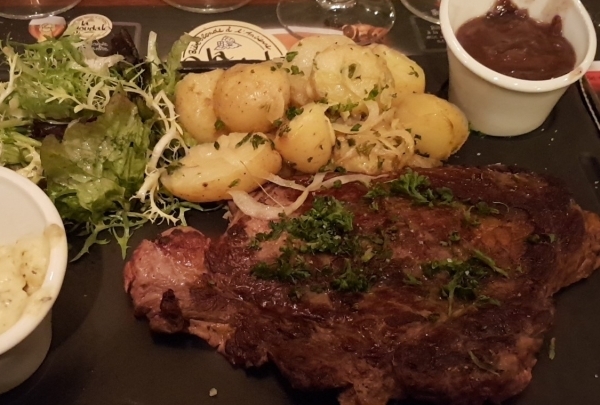 A great French bistro near Place de la Bouse, Le Mesturet is known for its excellent traditional cuisine, friendly staff and good wine references. 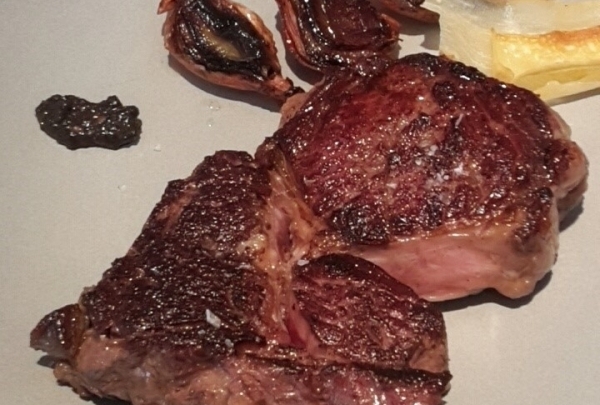 You should try the great "Entrecote" or the homemade foie gras. The place has a relaxed vibe and you'll meet everyone from businessmen and families to tourists. 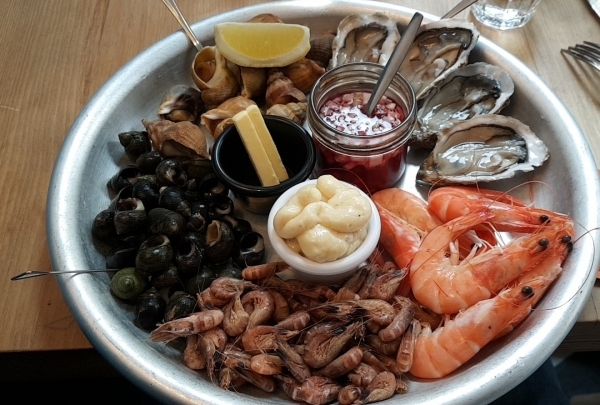 A French seafood bistrot in the trendy 11th district of Paris, with great cuisine, local people and excellent products. This cozy seafood bistrot in the heart of the 11th district offers fresh cuisine, excellent wines references and friendly staff. The place usually sees local Parisians who go there for the delightful seafood specialties, and is a hotspot in the area. 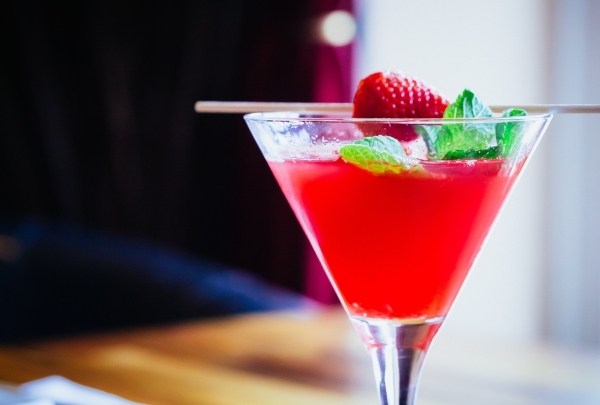 Signature cocktails, hand-crafted beers and good music in a trendy and so friendly atmosphere! Definitively Parisian! Opened by two young barmen (of Renaissance Republique Hotel fame), this bar is a local hotspot. You'll find great signature cocktails, delicious hand crafted beers and local wines in a trendy and contemporary ambiance. The staff is friendly and the place is a must visit in the bar street of Paris. Enjoy upscale shopping at this women's boutique in a contemporary "art gallery" style room. The biggest museum in Europe dedicated to the Asian arts offers unique collections of masterpiece! 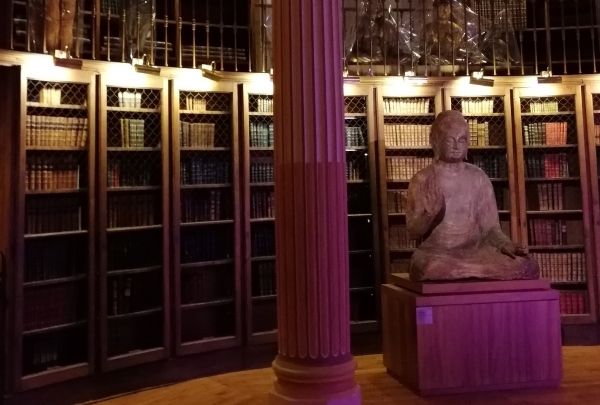 5000 years of Asian arts are presented in the biggest museum of Europe dedicated to Asia. From Afghanistan, to China, India or Japan, the museum offers great collection of artifacts, paintings and sculpture. Several exhibition all year long! A modern and creative French cuisine in a traditional "bistrot" atmosphere.Just awarded with his first Michelin's star. The chef Inaki Azpirtarte opened this restaurant 10 years ago and created a new gastronomic trend. In a bistrot atmosphere, with white napkins and wooden chairs, mirror on the wall, he cooks a creative, modern and fine cuisine. In 2018; he finally gets his 1st Michelin Star. Build in 1239, this chapel has some of the most impressive stained glasses in the Catholic world. Located on the "l'ile de la cité", this chapel is home to unique relics and treasures from the Catholic world. 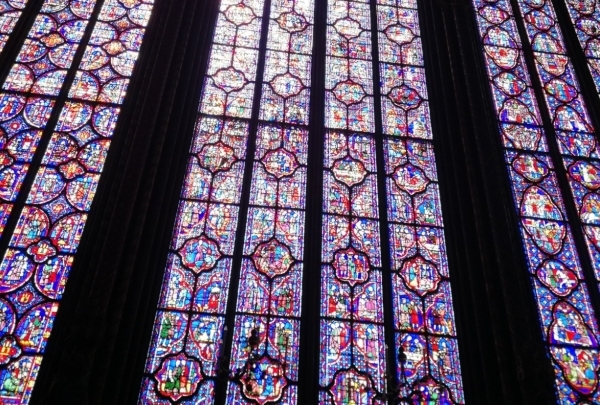 There are 615 square meters (6620 square feet) of stained glasses. It is located near to the Cathedral Notre Dame de Paris and the monument is classified as "Patrimoine Mondial de l'UNESCO"
Close to the Canal, this contemporary bistro offers a seasonal French cuisine, with more than 130 wine references. Open by the Guy Savoy's daughter, the restaurant is located near the Canal Saint Martin. The cuisine is fresh and created using a lot of local products. The owner is a wine expert, that's why they offer more than 130 wine references sourced from local wineries. 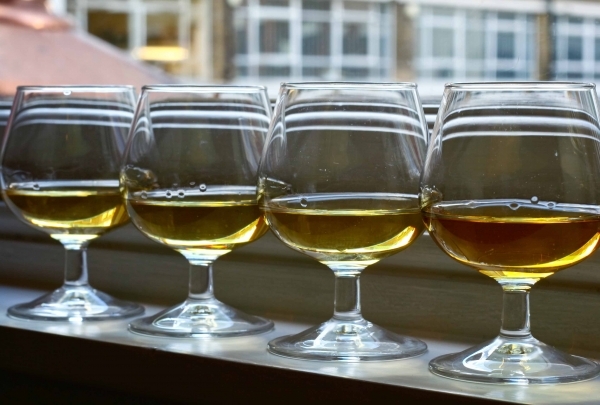 The menu is changing each season and is based on the French terroir. The signature cocktails and lively atmosphere at this bar are sure to amaze you. Located a short distance away from the hotel, this recently-opened bar is becoming a hotspot in the district. 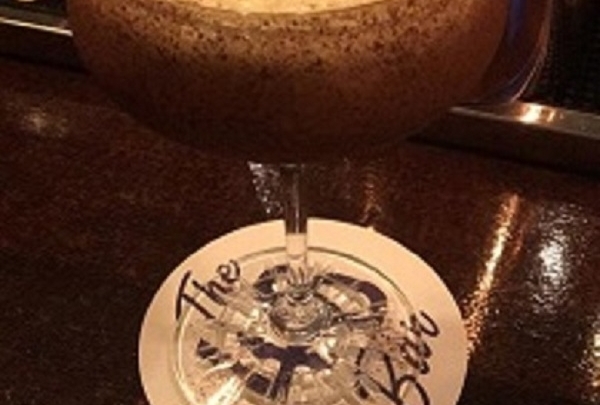 Great cocktails, a friendly atmosphere and a large whisky and rum selection make this place an amazing spot. The owner, Malek, knows perfectly his job and is very enthusiastic! Here's the place for the best cocktails in Paris. Every drink is a tribute to a famous monument. Recognized in 2018 as the best bar in France and 24th in the world, Le Syndicat works exclusively with french liquors to create a unique parisian mixology experience. 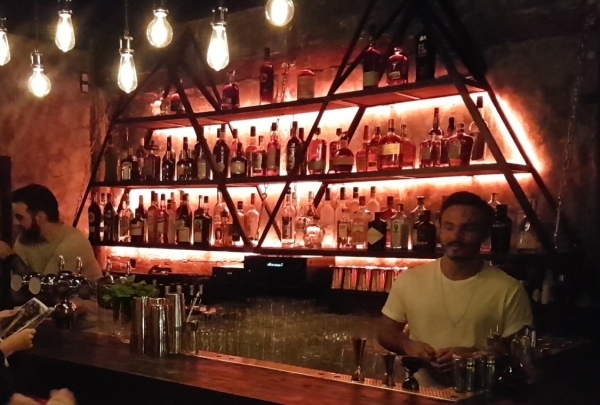 Combined with old school hiphop music and a young multi lingual team, this bar is a must see!Hidden behind an old showcase, it can be a real challenge to find the place, but the Navigators will be pleased to show you the way. 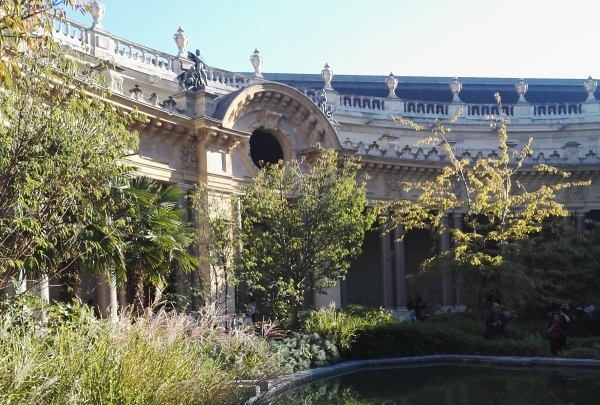 Facing the Grand Palais, his little brother offers great exhibitions in a magnificent setting. From the Invalides, just cross Alexandre III bridge and you will see on your right this stunning building built in 1900. The masterpieces of Degas and Cezanne, the sculptures gallery and the peaceful inside courtyard and garden will definitely catch your heart and mind ! The perfect spot to enjoy traditional and original crepes, sweet and savoury! 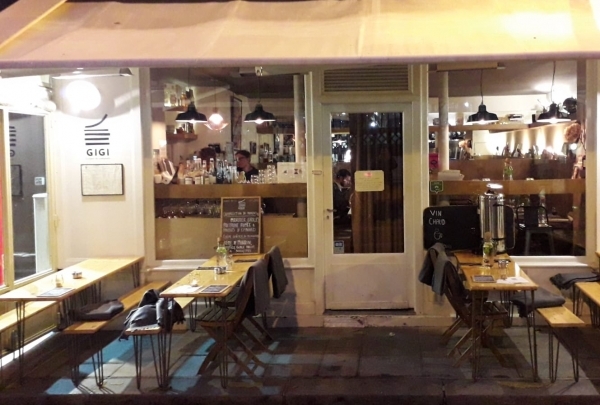 Located in the heart of the Marais, in the trendy "Haut Marais", this creperie opened two years ago and is now one of the most iconic eateries of the city! Here, both traditional and signature crepes are cooked by a talented young chef! Great atmosphere where local people meet and drink! 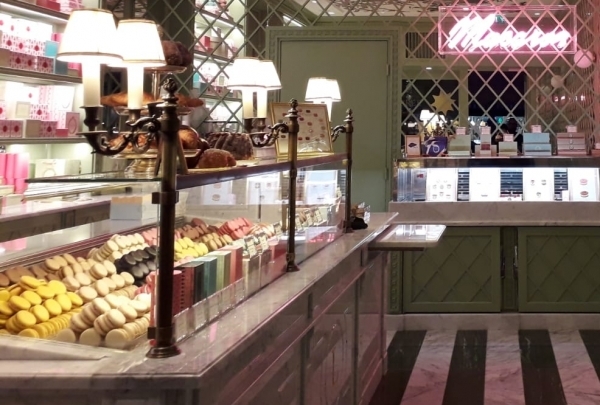 A cozy spot, Ladurée Paris is one of the most famous boutiques for macaroons and french pastries. Located in the heart of the Marais, on the trendy "Rue de Bretagne", the famous Ladurée shop offers a unique selection of fresh macaroons and homemade pastries in a warm atmosphere.